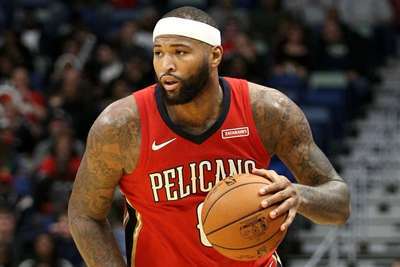 The Golden State Warriors have reportedly added another star with the signing of free agent center DeMarcus Cousins. Golden State and Cousins have agreed to a one-year, $5.3million contract, according to a report from ESPN. The 27-year-old center tore his Achilles tendon in late January and missed the rest of the 2017-18 season. He averaged 25.2 points and 12.9 rebounds in 48 games for the New Orleans Pelicans. Cousins recently told ESPN's The Undefeated he believes he can be healthy by the start of training camp. Cousins, a four-time All-Star, was originally drafted by the Sacramento Kings with the fifth pick in the 2010 draft. He spent six and a half seasons in Sacramento before he was traded to New Orleans in February 2017. Cousins has averaged 21.5 points and 11 rebounds per game throughout his eight-year career. The Los Angeles Lakers had also expressed interest in signing Cousins, according to multiple reports. The Warriors finished last season with a 58-24 record. They swept the Cleveland Cavaliers in the NBA Finals to win their third championship in four seasons. Two-time Finals MVP Kevin Durant re-signed with the Warriors when free agency began Sunday. 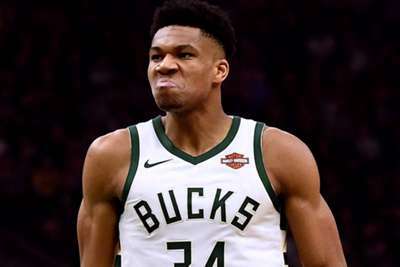 Milwaukee Bucks star Giannis Antetokounmpo reflected on the team's development after they advanced in the NBA playoffs.